‘Cilla’s World’ is the title of Cilla Black’s thirteenth solo studio album. 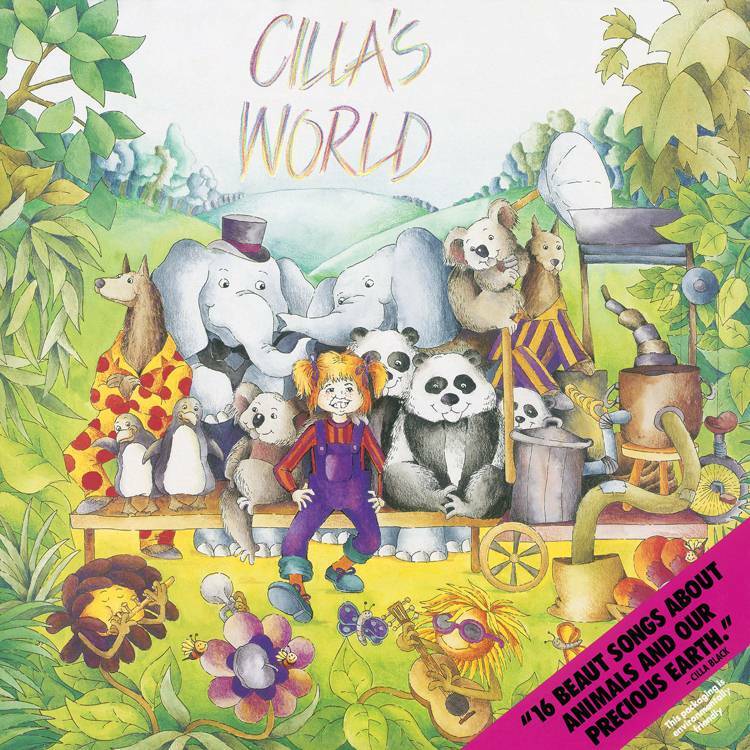 It was a concept album themed around sixteen original children’s songs which were about animals, green issues and the environment recorded specifically for the Australian music market (Cilla’s second most successful music market in the world). Sold on the idea of such an unusual concept Cilla agreed to go ahead with the album which featured primarily songs co-written by Play School TV presenter Don Spencer. The recording sessions were held at AIR Studios in London and although produced by Ron Edwards were notably supervised by Cilla’s friend and former producer George Martin. The project was independently produced by the music company MCA/Gilbey and released by Virgin Records in Australia which produced the album’s packaging from recycled paper. In 1993, the album was given a release in Great Britain by Silva Screen Records.